The U.S. Securities and Exchange Commission on Thursday adopted final rules that will govern a whistleblower program to offer incentives or cash rewards to those who will provide high-quality tips to the agency for effective enforcement actions. The new rules, which were voted 3-2 by the SEC on Wednesday, could compel whistleblowers, including other industry insiders, to come more often and warn the agency about various securities violations. Two Republican commissioners voted against the adoption of the new program that was authorized by a financial revamp law ratified last year. It was also opposed by large U.S. companies, saying whistleblowers should first tell their companies of any misconduct and offer them a chance to fix the errors before heading immediately to the SEC. However, the new rules discourage employees to avoid the compliance programs posted by their companies. 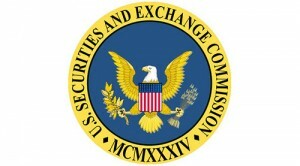 Employees who reported any potential misconduct to their company would be officially considered by the SEC as whistleblowers, and would be potentially entitled of rewards. According to the SEC, the goal of the whistleblower program, which was mandated by the Dodd-Frank Wall Street Reform and Consumer Protection Act, is to reward individuals who expose violations and provide remarkable evidence to help the regulator achieve successful cases. The new program awards individuals based on the timeliness and quality of the information provided. It must lead to successful actions with at least $1 million sanction. The new SEC rules will take effect in 60 days. Also, whistleblowers that have provided tips to the agency since July 2010, when the financial overhaul law was ratified, would also be entitled to receive incentives.